The nights are cooling and everyone’s talking about back to school…so we are making it a priority to enjoy the harvest, and especially salads! Today’s included lots of homegrown veg, supplemented by other not so local favourites. La Chandeleur is Crêpe Day! Sure, we know that most Canadians may associate February 2nd with Groundhog Day…but it is also La Chandeleur, or Candlemas, commemorating the presentation of Jesus at the Temple. As with most celebrations, this fourth Joyful Mystery of the rosary has its own special food traditions. In France it is “Crêpe Day”, something we also try to carry on here in our house. 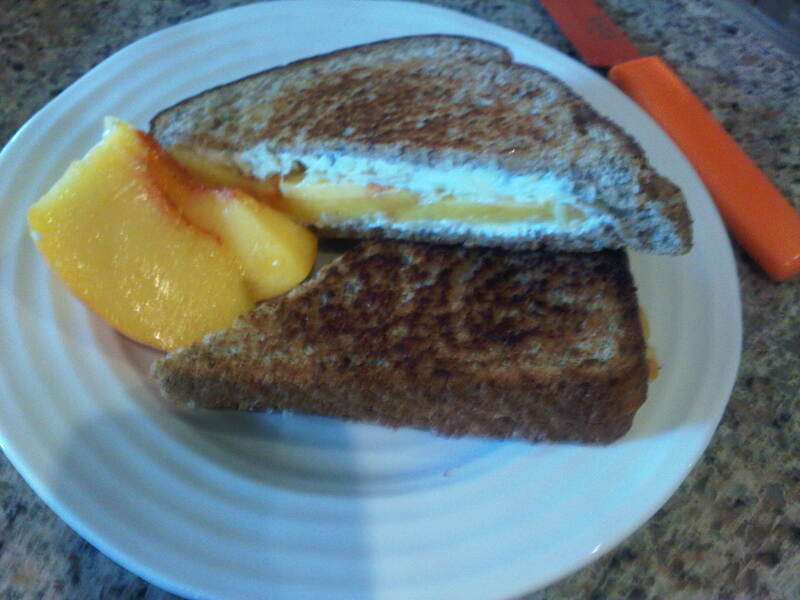 Lots of sweet or savory accompaniments are possible, lemon and chocolate among them, but for today we chose peaches, cinnamon, and yogurt sweetened with maple syrup. However you like them, enjoy some crêpes today. And lest you think we have completely pushed Groundhog Day from our minds, “ground hog” will feature prominently in the meatballs we’re planning for dinner. Author WalkEatLivePosted on February 2, 2014 Categories Breakfast, Cooking, eggs, Gratitude, Healthy Eating, winterTags Candlemas, Chandeleur, crepes, Groundhog Day, peaches, pork, traditionsLeave a comment on La Chandeleur is Crêpe Day! Sometimes certain foods have a “season place” in our minds. We always think of swordfish as a summer food, cooked on the grill, with a fresh salad, some tomatoes, or avocado. 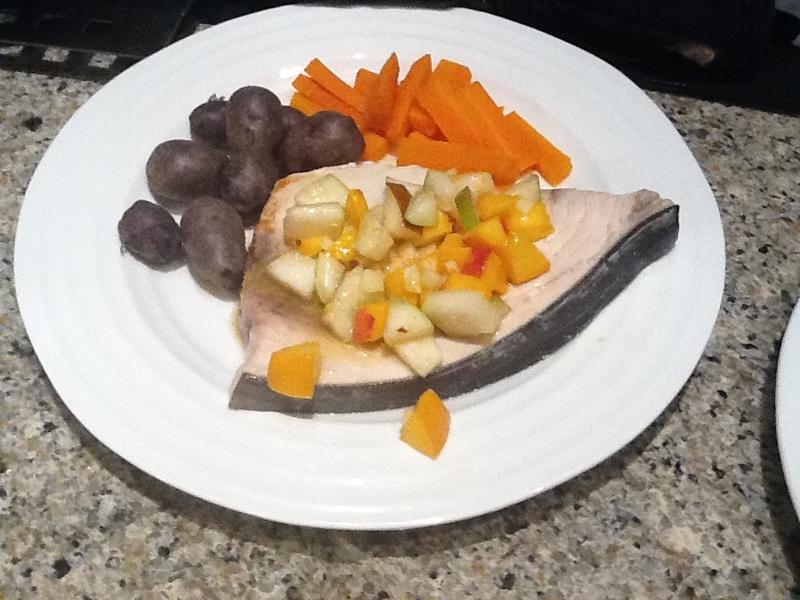 But with fall arriving full-force, we weren’t willing to give up swordfish for the season. This version was grilled, but on a tabletop grill. We served it with some blue fingerlings and steamed carrots, topped with a peach-pear salsa tossed in a mustard vinaigrette.